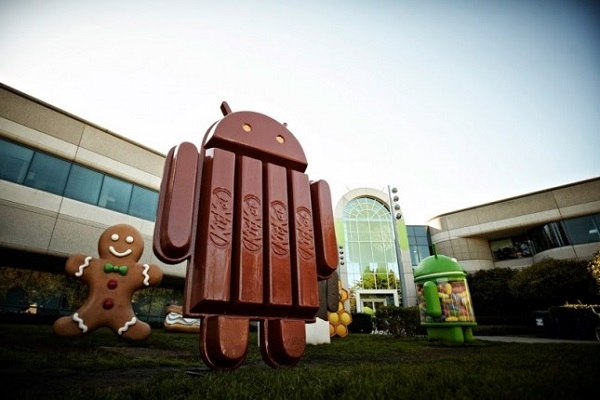 Google has just released the much awaited Android 4.4 – KItkat OS, along with its Nexus 5 smartphone. Android 4.4 is more of an incremental update over Android 4.3 but it comes with a new name. It will be pushed off first to Nexus 4, Nexus 7, Samsung Galaxy S4 and HTC One (Google Play Editions). Google calls Android 4.4 a ‘more immersive Android experience’ and aims to appeal to the next billion Android consumers. What has changed is the UI – the app layout and the homescreen are cleaner and expectedly smoother now. There is an added ‘immersive’ mode now that hides all the functions except what you are doing at a point of time. The calling app has been redesigned to help you efficiently search across apps and services for your contacts. It will also put the contacts you talk most to on top followed by contacts in the descending order of talking. In a Truecaller-esque feature, when callers get a call from an unknown number, the app will search for local business contacts to let you know who is calling. SMS and MMS have already been integrated into the Hangouts app. Other features of Android 4.4 include faster multi-tasking capability, voice command options, full-screen album art during music playback. Rather than clicking on the voice search icon to access Google Now, all you have to do is say OK Google to perform voice search, get directions play music or send a text. Besides this , there have been improvement on Infrared connectivity, NFC and Bluetooth connectivity. There are also other features in tow such as audio scrubbing from the home screen, better email support, chromecast support and close captioning. Google has released some features specifically for the Nexus 5 such as an improved HDR+ photography app and faster touch response. There is also a feature called Google Cloud that enables users to print stuff directly from their tab or smartphone. As you can see, the features are exciting bit not something out-of-the-world. Google has stated that Android will work even with low end devices with lower amount of RAM. This is because the major feature of the update is this only – the Kitkat OS will create a further reach for Android. It will bring it to everyone and tie it together with a nice little bow. Basically, what Google has done is reduce the amount of memory the OS needs to run. It can run as easily on a device with 512 MB of RAM as with higher-end devices. Android 4.4 is an update more concentrated on the little tweaks rather than big changes. It is concentrated on creating a new audience rather than a new experience for the existing one.